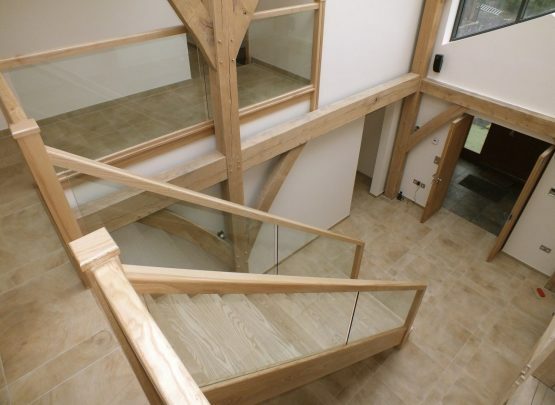 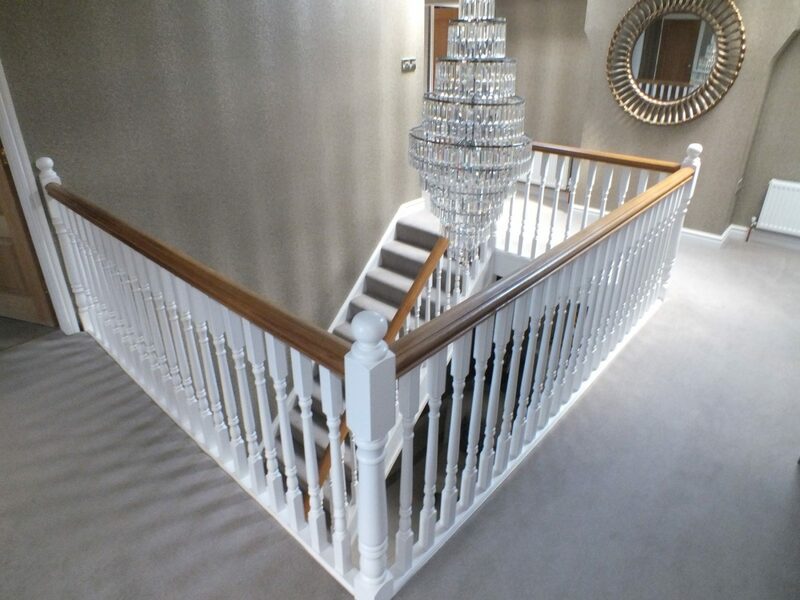 Not all staircase need to made from oak or walnut to be elegant. 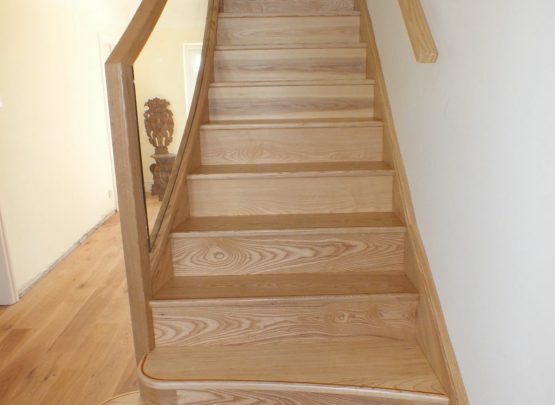 This staircase is made up of a pine softwood one of the most common and inexpensive woods, however the design and special features of this staircase turn it into something special. 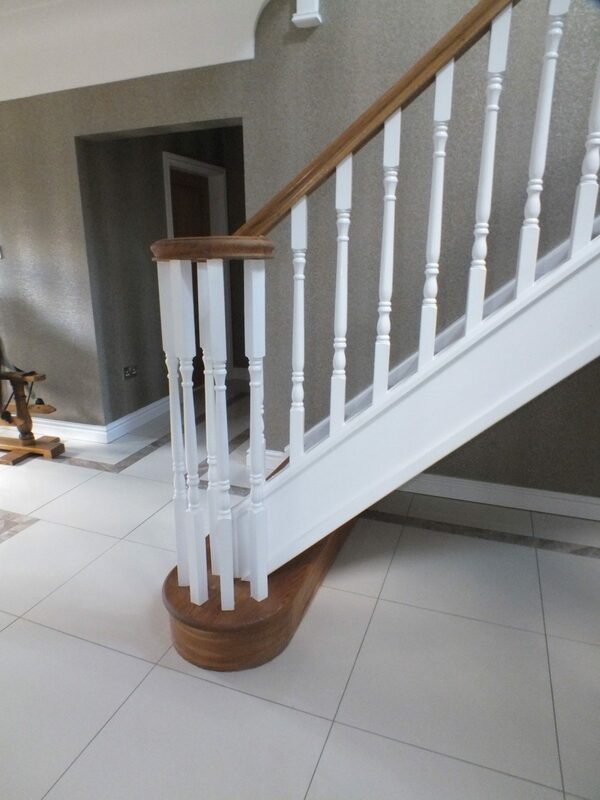 The left hand side has been given a gradual curve which gently turns into voluted spindles. 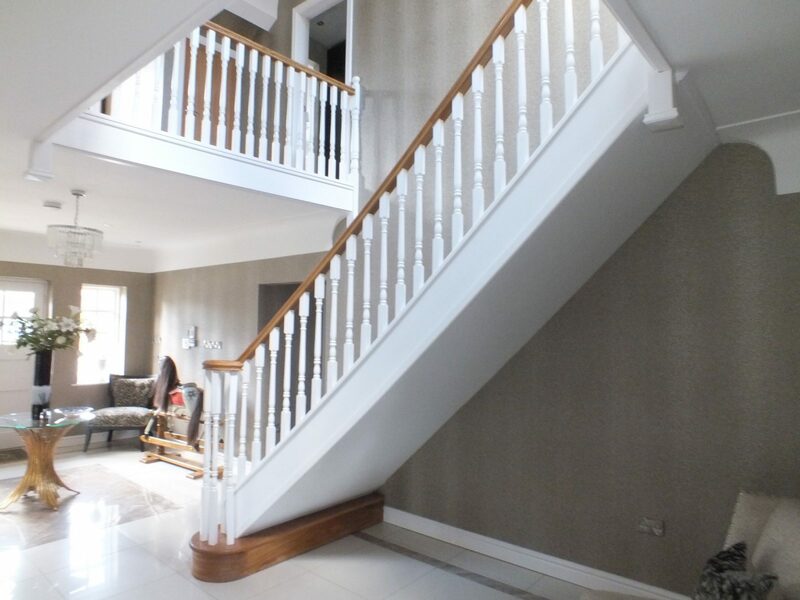 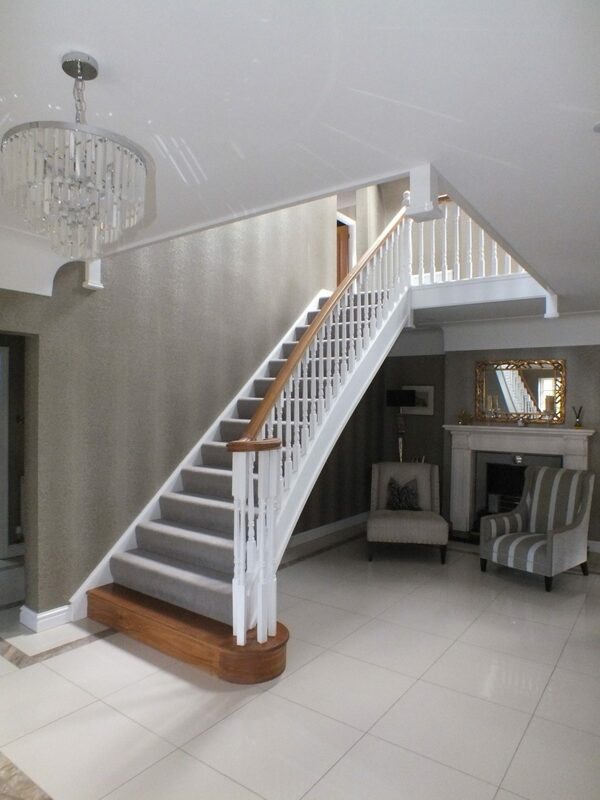 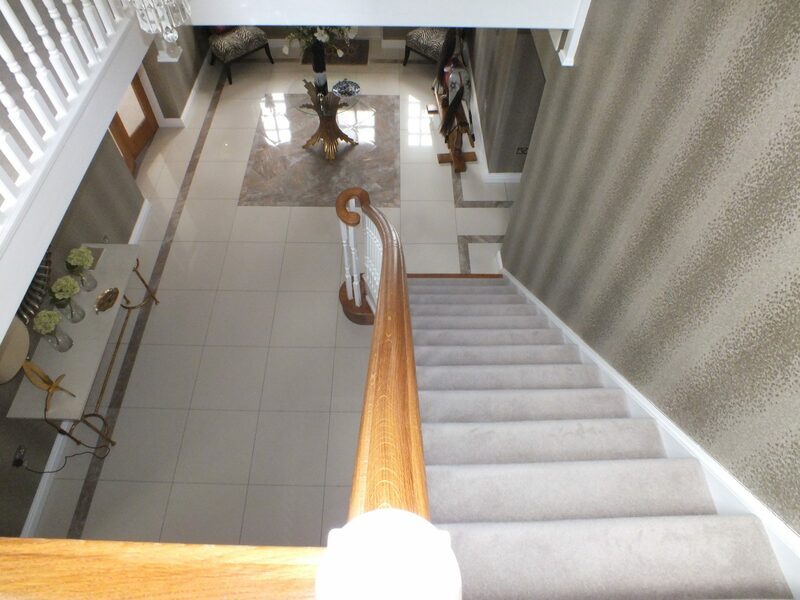 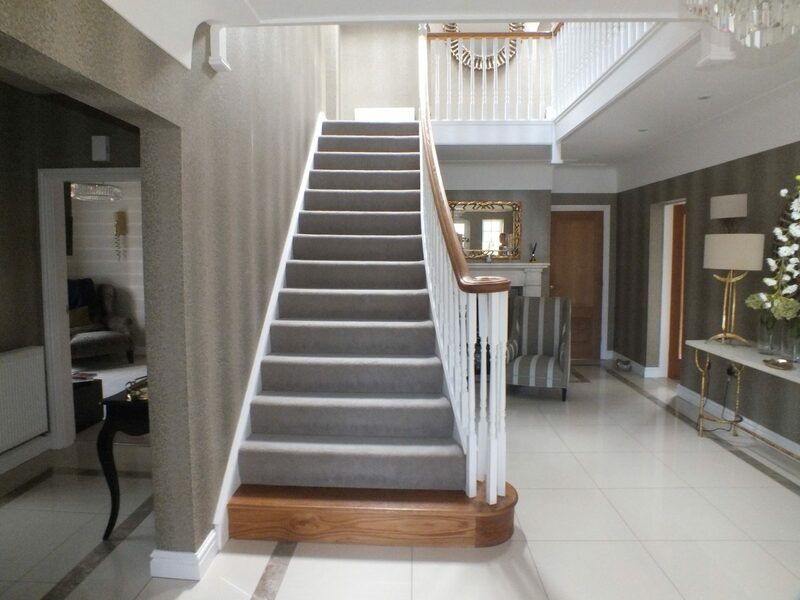 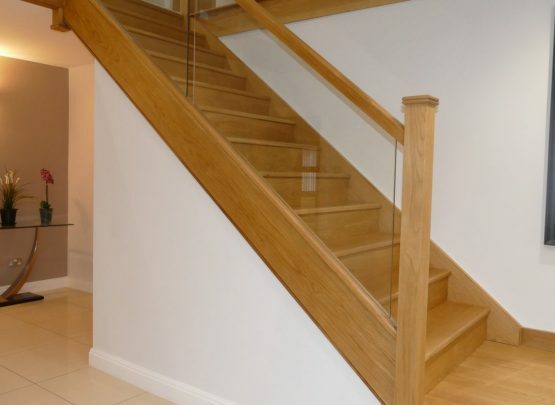 The entire staircase rests on top of one large oak bottom step, which can be seen from the front and from the back you can see how the white under paneling meets into the oak colours. 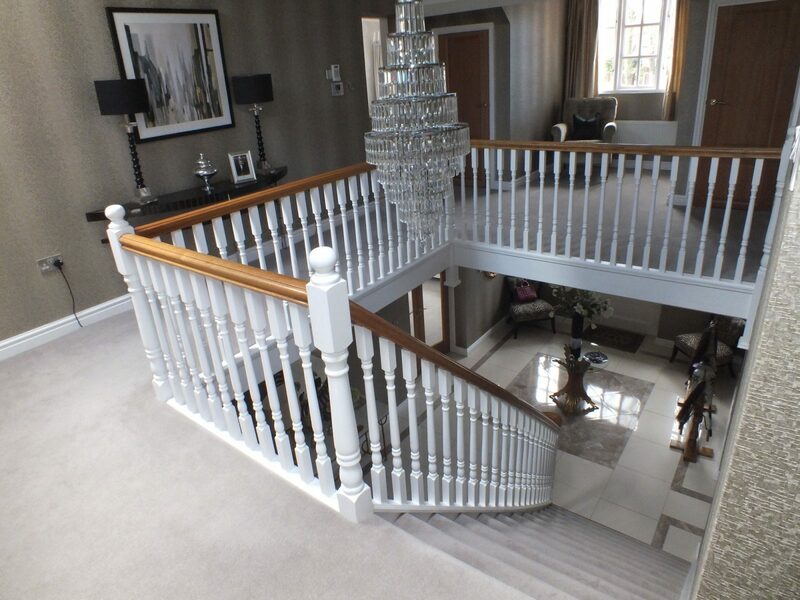 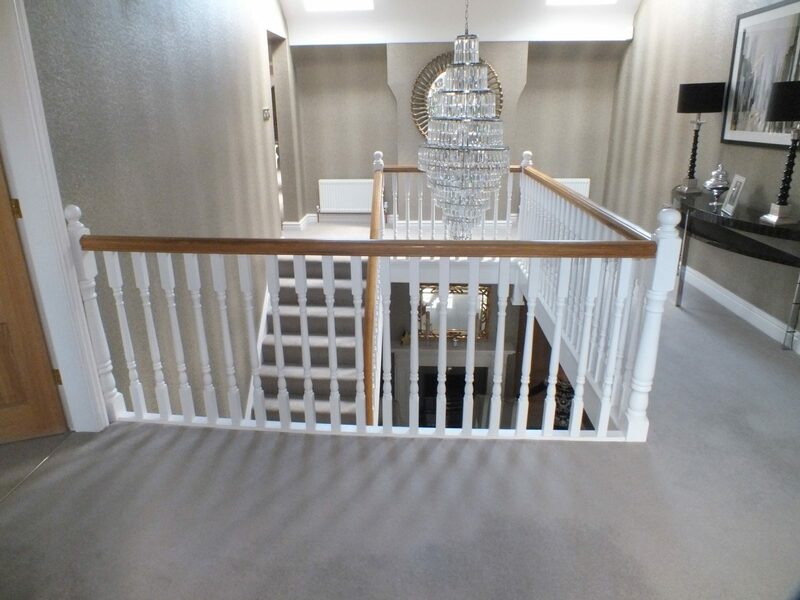 The handrail and the bottom step are the elements that truly highlight the staircase as they give it the distinctive elements adding in some contrast with the darker Oak. 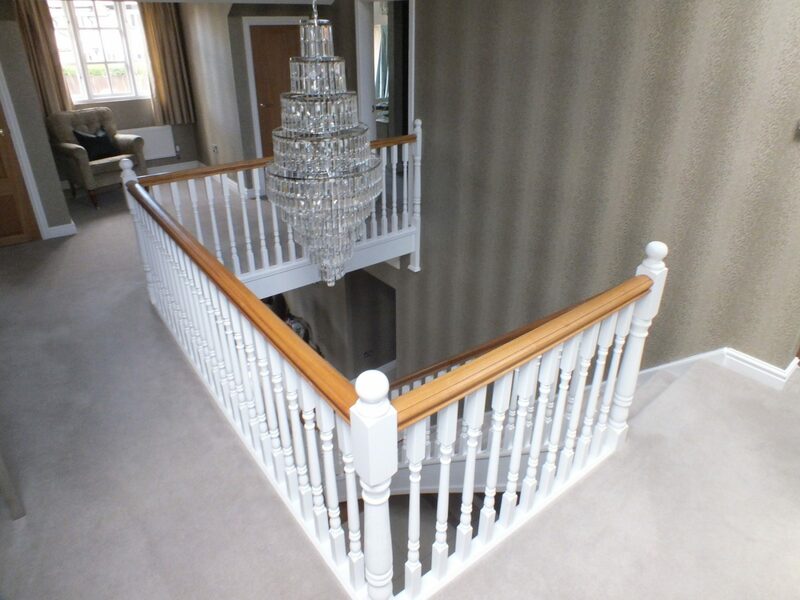 The client has chosen to finish the staircase in white and adding a darker stain to the oak. 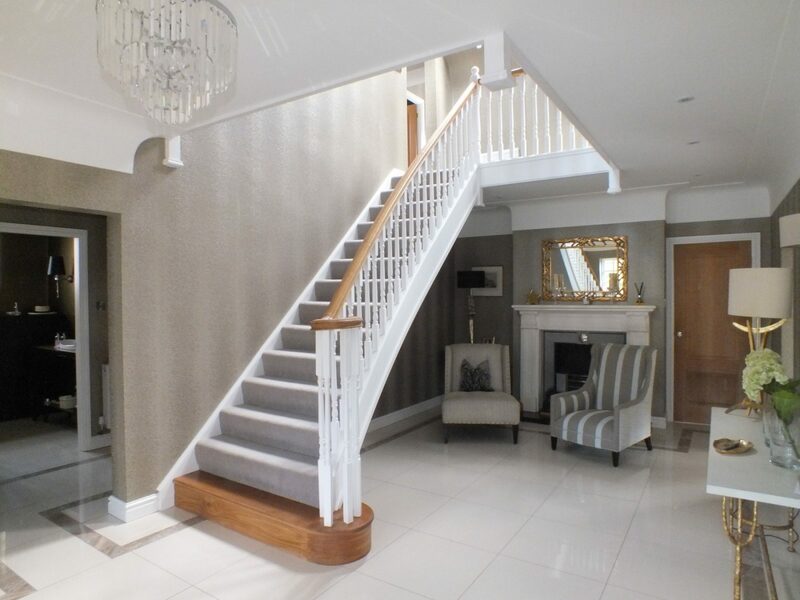 The colour scheme of the overall house is an extension of the staircase with the doors matching the dark oak, the walls and curtains matching the carpet and the furniture and others fittings matching the white spindles.